The front desk staff attending to the check-in is professional and courteous. Where attention was required to attend to some repairs, the service was quick and efficient. Well located, friendly staff, clean rooms. Cons: Restaurant served bad, yet expensive, food. My room was above the bar and a little too noisy. My door didn't lock from inside (no chain, no lock). Also was told once I got to hotel I could not redeem Accord points because booking not made on your website, which is annoying. Pros: Friendly and professional staff. Clean rooms. Good breakfast. To start with they did not respect the (already high) price I booked at. One day the room was not cleaned. Restaurants are of poor quality, I once even had to give back my order because it was still frozen. Not too bad for the Price, however better and more friendly service required from staff. Good service at front desk, I got a very nice room thanks to my membership. Excellent breakfast choice. Good place to have post meeting drinks and meet partners. the breakfast is very good and rich. the room carpet should be more clean. the sleepers in the room are very small size so its impossible for a normal person to put on. Good experience with a warm welcoming staff and leadership. cupboards broken- reported but never fixed. no welcome drink , no welcome gift. Satisfied in general. But need to substantially improve some of your services: 1. The phone in the room neither works during my overall stay; 2. I had diner the day of my arrival with 2 other colleagues. We did not get enough attention from waiters. I order a salad of fruits and have neither been served after having reminded the waiters 2 times, I left the restaurant; 3. Too much flies on the food during the breakfast. 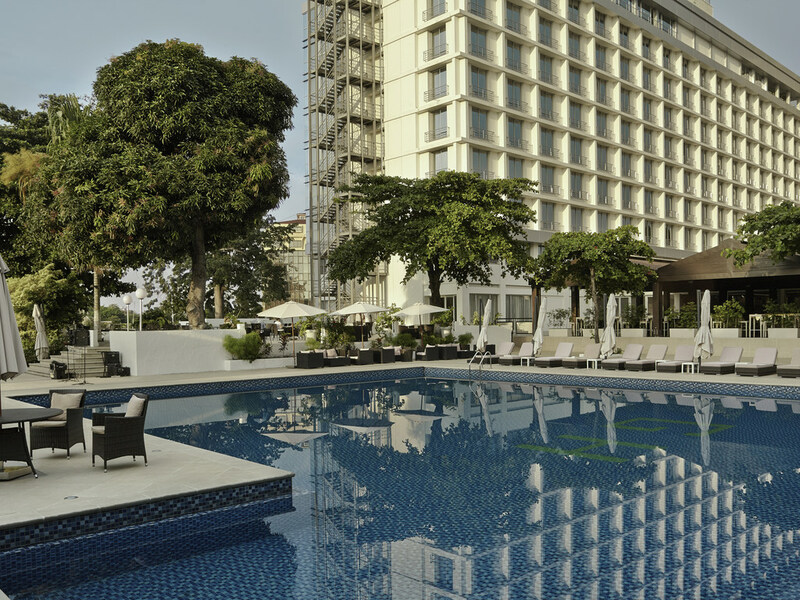 I expected more a much better experience from Pullman Kinshasa, having experienced other Accor hotels in Africa. The room was great but I had to engage the Hotel reception more than once to get simple things done like getting sports channels. On arrival the telephones were not working and it took two days to fix them. I loved the gym which had a great ambiance and good instructors. The restaurants were also very good. Not thrilled by this stay. Used to enjoy a better service at this property. Phone calls not answered, I had to go down to the reception to request a service two times in three days. , Internet access was quite unstable and the room not really fit for business traveller. None of my requests was answered !!! It is surprising that I am asked for my opinion - As I was really frustrated when I checked in - I wrote that same night a compliant letter that was NEVER answered. I reserved 3 days in advance to my arrival , simple 2 requests - high floor and pool view !!! I received the SAME room I had two months earlier with the same problems ( 2nd floor , restaurant view ...). I am considered a Silver level at the Accord Club ' does it matter ??? When I asked fore late check out I was told I have to pay for an additional night ( only the guy that I checked out with understood how ridiculous was that request and charged me for half a day. I am really pissed off at the hotel !!! Really quite nice. Rooms are basic but comfortable. Would appreciate more English channels on the TV if possible and a place to print documents. Your computer in the lobby did not print, either from my computer or a thumb drive. On the downside the courtesy welcome fruit basket and drink were not offered for my last two consecutive stays..